The 3-day event will witness participants from US, Switzerland, Japan, Malaysia and Taiwan, among the 13 participating countries. 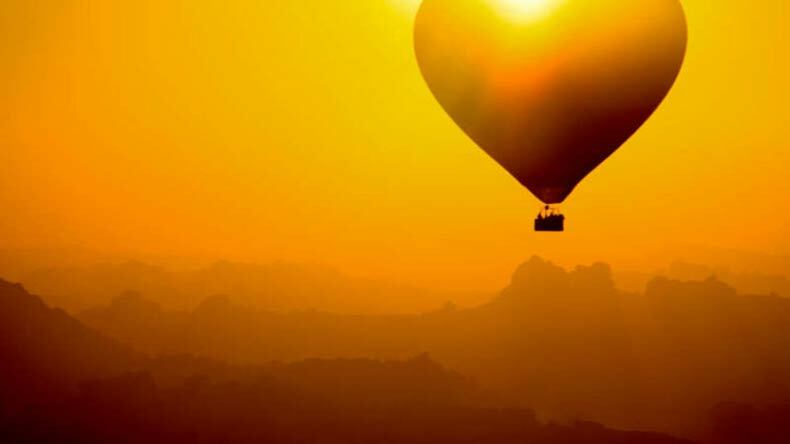 "The craze for hot air balloons in India is increasing by about 25 per cent every year and almost 30-40 people fly daily," said Sumit Garg, CEO of SkyWaltz that has organised the festival in association with Andhra Pradesh Tourism. "The craze for hot air balloons in India is increasing by about 25 per cent every year and almost 30-40 people fly daily," said Sumit Garg, CEO of SkyWaltz that has organised the festival in association with Andhra Pradesh Tourism. The Araku valley near Visakhapatnam in Andhra Pradesh is all set to host the first edition of its Hot Air Balloon Festival. Starting Tuesday, the three-day-long event will see participation from the US, Switzerland, Japan, Malaysia and Taiwan, among the 13 participating countries. The Hot Air Balloon festival is being organised to promote tourism. Known for its coffee plantations, rich cultural heritage and stunning waterfalls, Araku valley is a known destination on the country’s tourist map. A number of people are concerned about the safety issues, mostly about the possibility of accidents. Samit Garg, CEO of E-Factor and SkyWaltz that has organised the festival in association with Andhra Pradesh Tourism, clarified that although hot air balloons can reach a maximum height of 50,000 feet above the sea level, the air traffic regulations only permit them to fly up to 2,500 feet. “Even though many people are scared of trying it but it is a very safe and secure medium. There is no motor or engine in it so there are no chances of technical failure. Only the bad weather is sometimes a hinderance,” Garg added. Garg also said that the craze for hot air balloons in India is increasing by about 25 per cent every year and that more and more people are enthusiastic to try it out. He also said that Jaipur is known as the capital of hot air balloons in India and that almost 30-40 people fly daily. “A pilot needs to have experience of about five to seven years for a license to fly hot air balloons,” he shared.